Veteran lawyers and police officers can tell you that Los Angeles DUI arrests can occur in all sorts of diverse vehicles. You can be arrested for DUI any time you are on public property driving a motorized vehicle, including golf carts, boats, ATVs, UTVs, lawn mowers, and yes, even Zambonis! 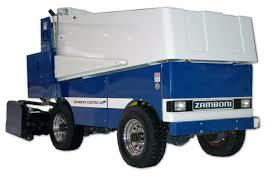 On January 31st, officers busted a Zamboni driver at a high school ice rink for driving under the influence. In case you’re not a hockey fan… Zambonis are drivable ice rink cleaning machines; they’re named after the person who invented them. Attendees at this hockey game noticed the driver’s impairment when his driving noticeably changed between the first and second periods. Witnesses noticed that the driver had been “weaving and bumping into the boards on the rink.” Luckily, no one got injured. Steven Anderson, the driver, could face 30 days in jail and a $1,000 fine. Anderson had been employed seasonally with the ice rink company, Fargo Parks, intermittently for 6 years prior to his arrest. He will face disciplinary action with Fargo Parks, and he could face serious criminal consequences if convicted of the DUI, including jail time, loss of his (real) driver’s license and tough probationary terms. Although Zamboni and lawnmower DUI cases may seem amusing to the general public (and even to those accused of serious DUI crimes themselves), they’re really not a laughing matter. You can still get hurt or killed (or hurt and kill others) with these motorized vehicles and face charges per California Vehicle Code 23153, which elevates a DUI to a felony if you hurt someone while operating a vehicle while under the influence.